Engineering is the basis of all activities of Budé Group bv. For over 30 years active in the world of industrial production automation, engineering, revision and maintenance. 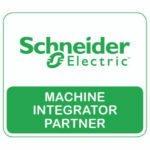 Budé is system integrator of Schneider Electric (Elau-control engineering). “The Budé team identifies itself well in the task, thinks along with us, is critical and comes up with own input if they consider that the assignment can be performed even better. If your supplier of electronic components, such as PLC’s, servo controllers and motors no longer supports your need, you don’t always need to purchase a new machine. Especially when the mechanics of the machine are still in good condition. Than often an upgrade of the control, drive or safety components is sufficient. Retrofit provides this and is a cost effective solution. If there are mechanical parts which need to be overhauled, we can take care of it in our own factory. A new life for your machine, components, operating systems, etc. ?